He studied at the Athens School of Fine Arts (1943-1949); before that, he had studied under the German artist Klaus Frieslander. He studied etching at the École des Beaux-Arts in Paris on a Greek state scholarship (1953-1956). 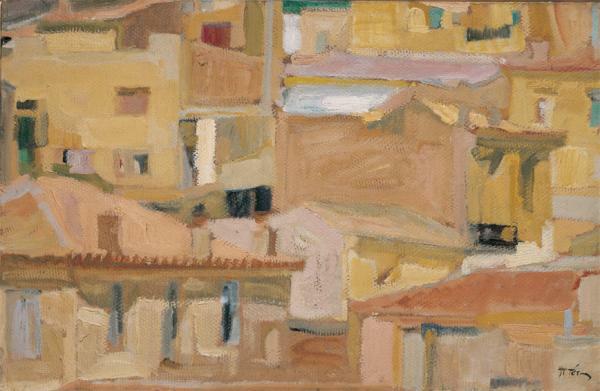 From 1952 he worked as assistant professor at the School of Architecture of the National Technical University of Athens; he also taught at the Free Centre for the Fine Arts until 1976, when he became professor at the Athens School of Fine Arts. He remained at this post until 1991, having become dean in 1989. He became a member of the Academy of Athens (1993) and received the Grand Commander of the Phoenix (1999). His participation in international events includes the Sao Paulo Bienal (1957, 1965), the Alexandria Biennale (1959) and the world fair print exhibitions in Lugano (1960) and Tokyo (1964). 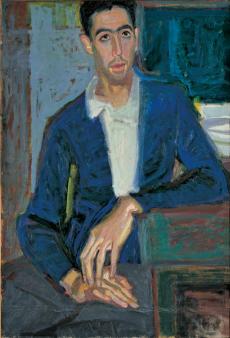 In 1999 he made a major donation of his works to the National Gallery in Athens. He developed a personal expressionistic style, in which colour prevails, shaping form in evocations of everyday life, portraits, still-life paintings, and land- and seascapes.